(Gluck's descendants.) 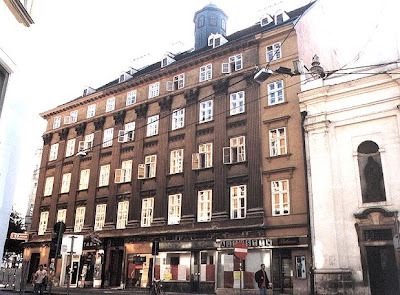 We recently told you about Gluck, the famous composer, having been a "Viennese landlord". A friend of our newspaper writes us that Gluck's only descendant is still alive. He is the retired captain Ferdinand Ritter von Gluck, a son of the composer's nephew. Unlike his famous ancestor, captain von Gluck, at the age of 69, is living in very modest and especially sad circumstances in Aschach an der Donau in Upper Austria. Both of his legs have been paralyzed for about 25 years, he can only be moved with a wheelchair, is in need of constant special care and cannot live without permanent attendance. Captain von Gluck is without any financial means except his captain's pension (of course based on the old pension rate), after the remains of Gluck's substantial fortune had already taken the way of all fortunes in the hands of the aforesaid last descendant's father. To shed some light on Ferdinand von Gluck's familial relationship to the composer, I shall delve into a side part of the Gluck genealogy which in the last century received very little attention: the descendants of Christoph Willibald von Gluck's younger brother Franz Karl Gluck. 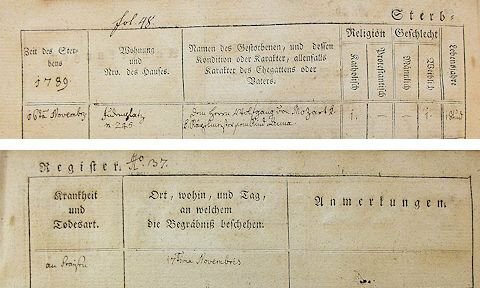 According to Anton Schmid, Rudolf Gerber, and Gluck's destroyed probate file from 1787, the composer's parents had nine children. Because we still do not know where and when Gluck's parents got married (the maiden name of Gluck's mother is still unknown), there is no proof, however, that Christoph Willibald was his parents' first child. Most of the dates in the following list of Gluck's siblings are based on Schmid 1854, Gerber 1950, and Abert 1959. 1) Christoph Willibald, the composer, was born in Erasbach on 2 July 1714 and died in Vienna on 15 November 1787. 2) Christoph Anton was born in Erasbach on 11 April 1716 and probably died at an early age. 3) Maria Anna Rosina was born on 2 May 1718 in Reichstadt. She was the wife of cavalry captain Claudius Hedler (1724-1799) with whom she had the daughter Nanette (1759-1776) who in 1764 was adopted by Gluck. Maria Anna Rosina Hedler died between 1759 and 1762. 4) Franz Anton Ludwig was born on 25 August 1720 in Reichstadt, for some time lived in Bohemia, and in 1787 was "herrschaftlicher Forstmeister" (lordly forester) in Vienna. He died around 1799 in Prague. The information in the new MGG (vol. 7/1136) that Franz Anton Gluck was Karl Gluck's father is false. 5) Franz Karl was baptized on 18 November 1722 in Kreibitz. He was a hunter in Baumgarten an der March in Lower Austria. Since he was Ferdinand von Gluck's grandfather, he is the most interesting among his siblings, as far as this blog post is concerned. 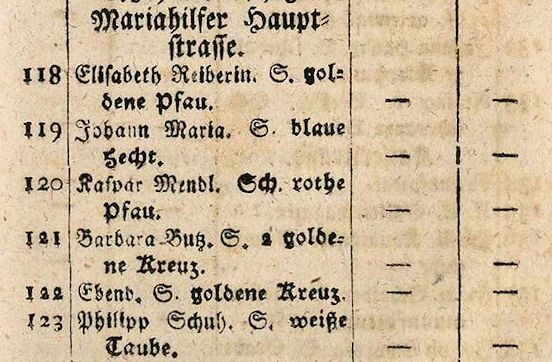 6) Anna Elisabeth was baptized on 22 January 1725 in Kreibitz. In 1745, in Obergeorgenthal, she married Friedrich Kramer from Dux with whom she had three children named Stephan, Johann, and Charlotte. She died before 1787. 7) Heinrich Joseph was baptized on 9 May 1727 in Kreibitz. His date of death is unknown. 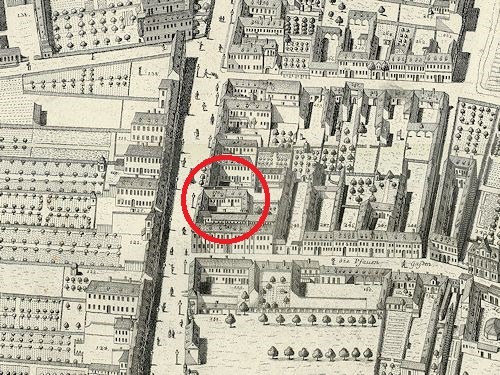 8) Felix Mathes was baptized on 24 January 1732 in Eisenberg. His date of death is unknown. 9) Franz Johann Alexander was born on 24 May 1734 in Eisenberg. He was a "K.K. Mehlaufschlag- und Abwaagsbeamter" in Vienna, i.e. an employee at the I. & R. office for weighing and taxing flour. He was married to a Franziska Hatzl and was survived by none of his children. He called himself "Alexander Edler von Gluck" (A-Wsa, TBP 102, CGK, fol. 47v) and died of hectic fever on 7 June 1795 in the house Landstraße 377 (today Heumarkt 13). Alexander von Gluck was the godfather of the distinguished I. 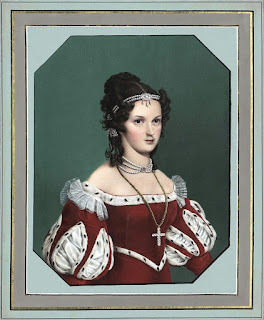 & R. Court actress Magdalena Hruschka who was born in Vienna on 4 January 1785. The entry concerning the baptism of Maria Magdalena Hruschka (A-Wd, Tom. 98, fol. 269v). The godfather Alexander von Gluck was substituted by the cook Magdalena Hegler from whom the child received its name. 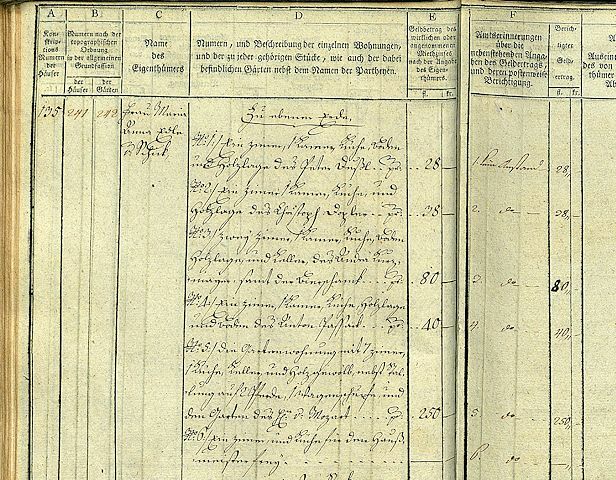 When in 1831 Hruschka married the police officer Anton Poller, she not only turned her father from a cook into a "secretary with Prince Colloredo", she also claimed to have been born in 1801 (Ober St. Veit, Tom. 4, fol. 4). 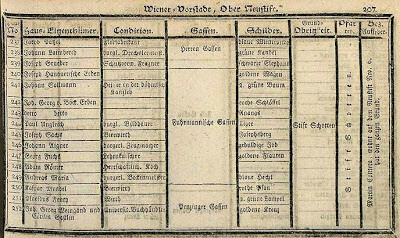 On 23 October 1806 Hruschka gave birth to an illegitimate son named Joseph (with Joseph Lange serving as godfather) who died of scarlet fever on 9 November 1819. Leopold, born on 16 November 1750 in Baumgarten (Oberweiden 1, 27), already died on 24 November 1750 (Oberweiden 3/2, 16). Franz Johann Georg was born on 30 January 1752 (Oberweiden 1, 34) and died on 14 March 1752 (Oberweiden 3/2, 20). Maria Anna was born on 21 January 1753 in Baumgarten (Oberweiden 1, 41). She married Joseph Wagner, who in 1787 was a forester in Schloss Hof in the service of Karl von Pálffy, in 1795 was employed as hunter in Ebersdorf an der Zaya, and in 1800 again in Schloss Hof. Their son Maximilian was born in Schloss Hof on 17 November 1787, two days after the death of his famous greatuncle (Groißenbrunn, 1/2, fol. 2). Maria Anna Wagner died after 1800. Eleonora Josepha Theresia was born on 12 May 1755 in Baumgarten (Oberweiden 1, 57). On 24 October1780 (A-Wd, Tom. 73, fol. 351r) she married the widowed k.k. Hofkommissionsrat Ignaz Anton Pruckner (ca. 1722-14 May 1785). 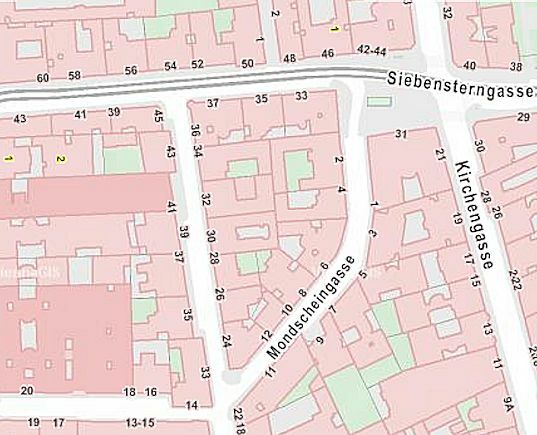 She died of tuberculosis on 27 March 1800 in the house Kienmarkt 493 (today Judengasse 11) and was survived by three stepchildren (A-Wsa, Mag. ZG, A2, 764/1800). Franz Karl Joseph Andreas Gluck was born on 3 August 1757 in Baumgarten (Oberweiden 1, 65). He became an obstetrician and surgeon who practiced in Moravia and Vienna. Because he was Ferdinand von Gluck's father, for this blog post he is the most interesting of Karl Gluck's children. Franziska Maria Theresia Gluck was born on 8 August 1759 in Baumgarten (Oberweiden 1, 75). 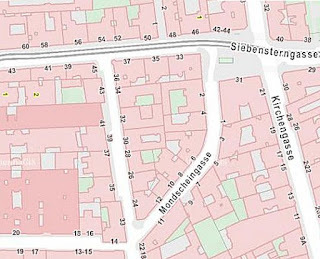 She never married and died on 4 May 1800 in the "Lo Prestisches Haus", Kärntnerstraße 1081, in the apartment of her late aunt Maria Anna von Gluck. Her modest estate of 55 fl 30 x did not cover the costs of her medical bills and burial expenses which were paid for by her brother Karl (A-Wsa, Mag. ZG, A2, 3541/1800). Josepha Maria Theresia was born on 20 September 1760 in Baumgarten (Oberweiden 1, 80). On 3 June 1782 in Vienna she married the k.k. Kameraladministrationsbeamten Karl Joseph Selliers de Moranville (A-Wd, Tom. 74, fol. 235r). 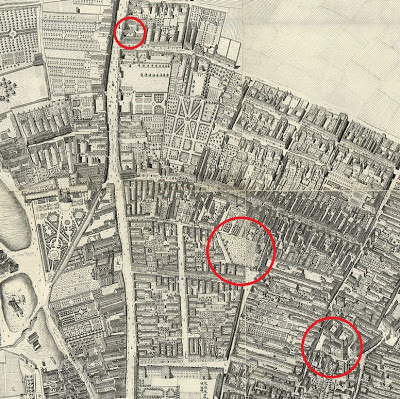 Selliers was born on 9 January 1756 the son of the agent at the war council Anton Emanual Selliers de Moranville and Maria Rosina (née Schwandner). Karl Joseph Selliers died on 2 January 1795 in Vienna. Josepha von Selliers (née Gluck) died of old age on 9 December 1841 in the house Mariahilf 48 (today Esterhazygasse 30). 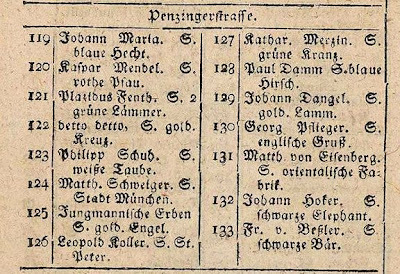 An unnamed child that was baptized in emergency and died right after its birth in Baumgarten on 17 August 1763 (Oberweiden 2, 49). Until now, the date of death of Gluck's younger brother Karl was not known. He died on 26 July 1771 in the house Baumgarten No. 19 and was buried in the now closed cemetery around the parish church of St. Leopold in Oberweiden. His widow seems to have moved away from Baumgarten. She died between 1795 and 1800. The entry concerning the death of Karl Gluck on 26 July 1771 in Baumgarten an der March (Oberweiden, Tom. 3/3, 65). Gluck's nephew Karl was born on 3 August 1757 in Baumgarten and baptized in the neighboring village of Oberweiden. 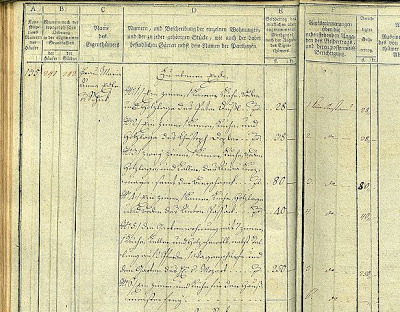 The entry concerning [Franz] Karl Gluck's baptism on 3 August 1757 (Oberweiden, Tom. 3/1, 65). Karl Gluck attended the university in Vienna where he passed the exams to become an obstetrician and magister chirurgiæ (Master of Surgery). 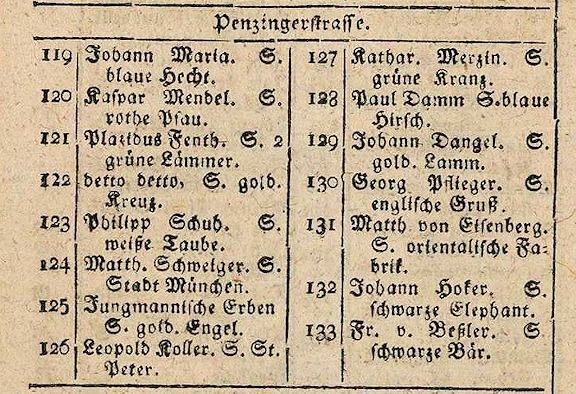 The estate records of his deceased uncle, in November 1787, refer to him as "Kreischirurg in Mähren" (district surgeon in Moravia). In 1790 he was in Vienna where on 19 September 1790 he and Gluck's widow served as godparents for Christoph Karl Handlos, a son of Gluck's former manservant Simon Handlos (who in 1779 had come to Vienna from his birthplace Rožmberk nad Vltavou). Gluck's widow Maria Anna and Gluck's nephew Karl as godparents of Simon Handlos's son Christoph Karl: "Pathen: Franciscus Carolus Gluck. ein Wund Arzt, und Geburtshelfer, et Mariana v: Gluck ein[e] Hausinhaberin." (Pfarre Wieden, Tom. 1b, fol. 242). The child already died on 20 October 1790. One year earlier, on 16 May 1789, Gluck's widow had already stood godmother to Simon Handlos's daughter Marianna Christina (Wieden 1, 424,5). Until the death of his famous uncle, Karl Gluck led a rather inconspicuous life as a surgeon. This seems to have changed radically when he realized that Christoph Willibald Gluck had left an enormous fortune of which, at some time, he would inherit the biggest share. He started to call himself "von Gluck" (a predicate of nobility that he had no right to claim) and he also pretended to be a doctor of medicine. 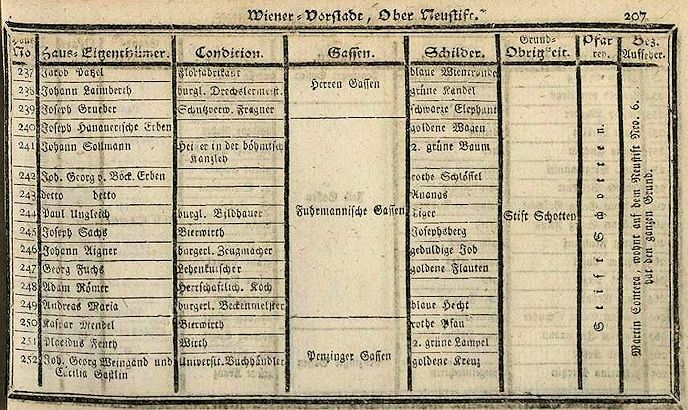 In 1800 several members of the Gluck family died shortly after each other: 12 March saw the death of Gluck's widow, which was followed by the deaths of Gluck's nieces Eleonore Pruckner on 27 March, and Franziska Gluck on 4 May 1800. In the estate records of his sister Eleonore, Karl Gluck even appears as "Karl v[on] Gluck Phi[losophiæ] et Med[icinæ] Doktor". The seals and signatures of Gluck's nephew Karl von(!) Gluck (1757-1838), Gluck's nieces Maria Anna Wagner (1753 - after 1800) and Josepha von Selliers (1760-1841) (A-Wsa, Mag. ZG, A2, 764/1800). Karl von Gluck's unduly claimed status of nobility was never doubted by the authorities which was caused by the fame of his legendary uncle and by the fact that in 1800 Karl "von" Gluck inherited an enormous fortune from his aunt. After all, his famous uncle had been the wealthiest composer of his time. The annual income, which Gluck's widow was able to draw from interests alone, has been estimated at 30,000 gulden. The composer's estate was increased by the fortune of his wife who owned a share of 44,000 gulden of the "Lo Prestisches Haus" in the city where in 1800 Karl von Gluck resided as well. Karl von Gluck also inherited his aunt's house in Perchtoldsdorf and in 1802 his newly acquired state of wealth ennabled him to take a wife of appropriate noble status: on 9 August 1802, in the parish church of Liesing, he married Rosalia Dirix von Brugg und Rothenburg, the daughter of a member of the Royal Bohemian court council. 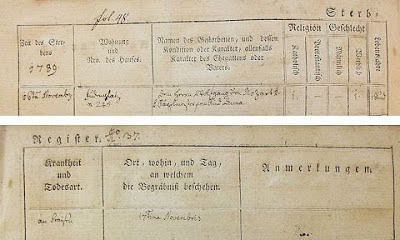 The entry concerning Karl von Gluck's first marriage on 9 August 1802 in Liesing. The groom claimed to be "der Wundarzneykunde Wissenschaft Doctor". The couple's residence was Gluck's house in Perchtoldsdorf (Pfarre Liesing, Tom. 1, fol. 46). Karl von Gluck's inheritance certainly did not receive unanimous approval from the three children of Maria Anna von Gluck's deceased sister, Maria Petronilla Josepha von Valmagini, née Bergin (b. 16 December 1722, d. 8 December 1750). In 1803 the old resentments between the Valmagini and the Gluck families caught up with Karl von Gluck, when his (not blood-related) cousin, the retired k.k. Obristwachtmeister (I. & R. major) Karl von Valmagini (born 1 February 1745 in Vienna) filed a lawsuit against the surgeon at the court of the k.k. Landrechte. 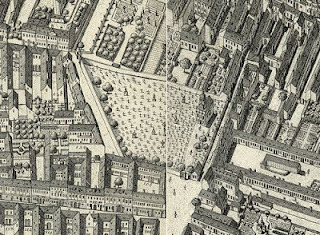 Valmagini claimed that in spring of 1778, right before his departure from Vienna to the theater of the War of the Bavarian Succession, he had given his uncle Christoph von Gluck the amount of hundred ducats for safekeeping. Now he wanted to be paid back the equivalent sum of 450 gulden plus four percent interests from Gluck's inheritance. To prove his claim he produced the following, previously unknown receipt, written by Gluck of which a copy survives in the charred remains of the file pertaining to the lawsuit. habe. Urkund deßen meine Unterschrift. I, the undersigned, herewith certify that I received hundred royal ducats from first lieutenant von Valmagini on his own disposition. In witness whereof my signature. On 17 August 1804 the court sentenced Karl von Gluck to pay back the 450 gulden that had been part of his inheritance. Gluck, who called himself "landlord in Perchtoldsdorf", immediately filed an appeal against this verdict (a procedure which was then called an Appellazionsbeschwerde) and he justified this with the following arguments: 1) the receipt is not authentic and does not even bear a seal, 2) in 1778 Valmagini had been "a poor lieutenant" who was in no position to own such an amount of money, and 3) if the claim had really been valid, Valmagini, between 1778 and 1786[sic], had had ample time to reclaim the money from the composer himself. The following pleadings consist of arguments regarding the knowledge of Gluck's handwriting, the issue of Karl von Gluck "owing all his current wealth to his uncle's estate", the question whether "he hated Valmagini" and the quality of Valmagini's relationship to his deceased aunt. 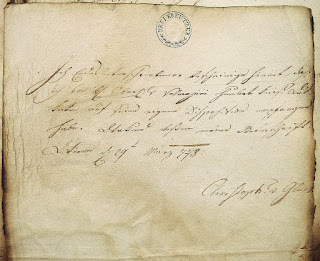 The court file contains a copy of a letter, written in 1790 by Valmagini to Maria Anna von Gluck from the war theater in Bucharest, and a copy of Gluck's will which is rather pointless, because it could not be used to prove the authenticity of Gluck's handwriting on the receipt. The outcome of the lawsuit is not clear, because too much material from the court records was destroyed in the 1927 fire at the Palace of Justice. I tend to presume that Karl von Valmagini was eventually paid back his money. Maria Rosalia, born 24 July 1803 in Perchtoldsdorf (Perchtoldsdorf 10, fol. 46), died before 1811. Karl Christoph, born 30 June 1804 in Perchtoldsdorf (Perchtoldsdorf 10, fol. 53), died after 1814. Johann Nepomuk, born 29 January 1806 in Perchtoldsdorf (Perchtoldsdorf 10, fol. 64), died between 1814 and 1831. Maria Anna, born 3 January 1807 (Wieden 4, fol. 232, died on 31 December 1807 (Wieden 5, fol. 128) of "beschwerlicher Zahnausbruch" (arduous toothing). Ferdinand, born 11 January 1808 (Adler 1913, p. 123), also became a soldier (see below). Karl, born 11 January 1809 (Wieden 5, fol. 44), joined the military, as of 1831 served as k.k. Pionierleutnant and died of tuberculosis on 30 May 1835 in the home of his father (St. Karl 8, fol. 80). Maria Rosalia Rosina, born 17 January 1811 (Wieden 5, fol. 157), died on 13 March 1831 of pulmonary ulcers. Rosalia von Gluck, née Dirix von Brugg und Rothenburg, died on 13 June 1814 of tuberculosis at the age of thirty-four. On 9 January 1820 Karl von Gluck married again (St. Karl, Tom. 6, fol. 50). His second wife was Elisabeth Forti, born on 11 January 1795 at Gumpendorferstraße 3, daughter of the gilder Andreas Forti and his wife Josepha, née Holzmann. Elisabeth (or "Lisette" as her husband called her ) was a sister of the singer Anton Forti (1790-1859). 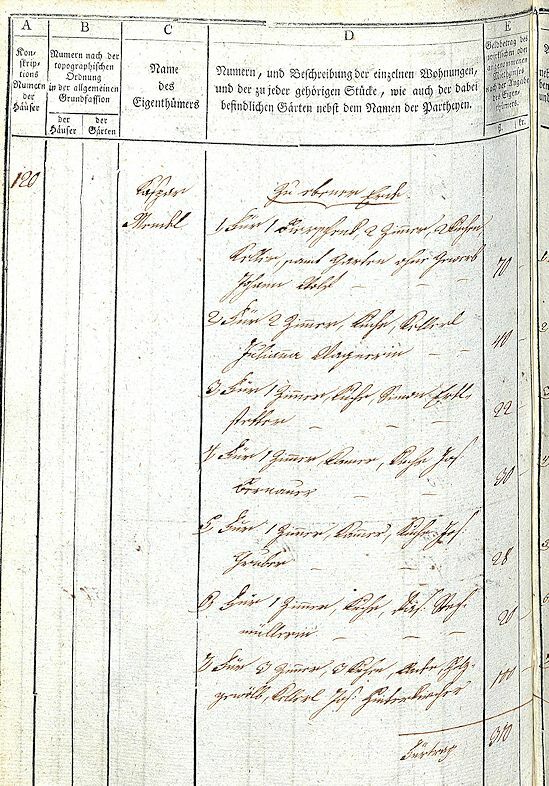 Karl von Gluck, who in his daughter's 1831 estate records again is given as "Chirurgie Doktor", died on 28 March 1838 of old age in his home Wieden No. 63 (today Taubstummengasse 5). He was buried the following day in the Matzleinsdorf cemetery. The court of the Landrechte, which was responsible for dealing with estates of members of the nobility, never doubted his noble status. Karl von Gluck, his second wife and his daughter Rosalia on an 1829 conscription sheet of the house Wieden 63 (A-Wsa, Konskriptionsamt, Wieden 63/27r). The announcement of Karl von Gluck's death in the Wiener Zeitung of 31 March 1838. By coincidence Karl von Gluck died on the same day as Beethoven's friend and publisher Sigmund Anton Steiner. Karl von Gluck's widow Elisabeth died on 14 January 1851 at Wieden 960 (today Danhausergasse 3) (Wieden, Tom. 13, fol. 240). Ferdinand von Gluck was born on 11 January 1808, the third son Karl von Gluck and his first wife Rosalia, née Dirix von Brugg und Rothenburg (1780-1814) in the house Wieden 540 (last conscription number 334, today Favoritenstraße 2). The house Wieden 334 where Ferdinand von Gluck was born in 1808. The Paulanerkirche is on the right. In 1827 Ferdinand von Gluck joined the Austrian military as a Cadet in the Infantry Regiment No. 1 "Kaiser" (named after its owner, the Emperor himself). Gluck was promoted Fähnrich on 9 March 1832, Lieutenant on 18 February 1834 and on 20 May 1839 (after eleven years, four months and six days of service in the infantry) he was transferred to the Polizeiwachcorps (the military police). During the 1840s Gluck served as captain in the so-called "Lombardic Military Police Corps" in Milan which may have been related to the fact that he also was fluent in Italian. One of his Conduitlisten (internal certificates of conduct) describes his character as "heiter-eitel" (cheerful and vain) and his behavior towards civilians as "mit gewandter Welt-Form" (with suave and worldly manners). His behavior towards his peers is given as "freundschaftlich" (friendly), he treated his subordinates "billig" (fair). Of special interest is the information in Gluck's personal file (OeStA/KA Pers CL KA, 177/844) that "he is the son of an army officer" which is evidently false. In 1852 Gluck served as provisional commander of the "Militär-Polizei-Wach-Corps" in Venice and Verona, but in 1853 his name is suddenly absent from the schematism of the Austrian army. At this time Ferdinand von Gluck must have suffered a mishap which left his legs paralyzed. Because the exact events are difficult to ascertain, the information may be added to this post at some later time. How Gluck ended up in Aschach in Upper Austria of all places, will also be a topic of future research at the Austrian State Archive. Ferdinand Ritter von Gluck died of dropsy on 26 August 1878 at 9 p.m. in the house Aschach No. 73 and was buried two days later. 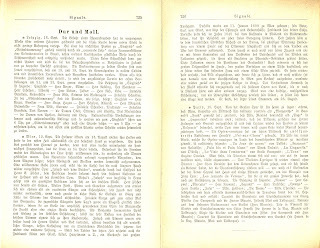 While Ferdinand von Gluck's death went unnoticed by the Austrian press, a short paragraph was published in a news miscellany titled "Dur und Moll", in September 1878, in Bartholf Senff's journal Signale für die Musikalische Welt. 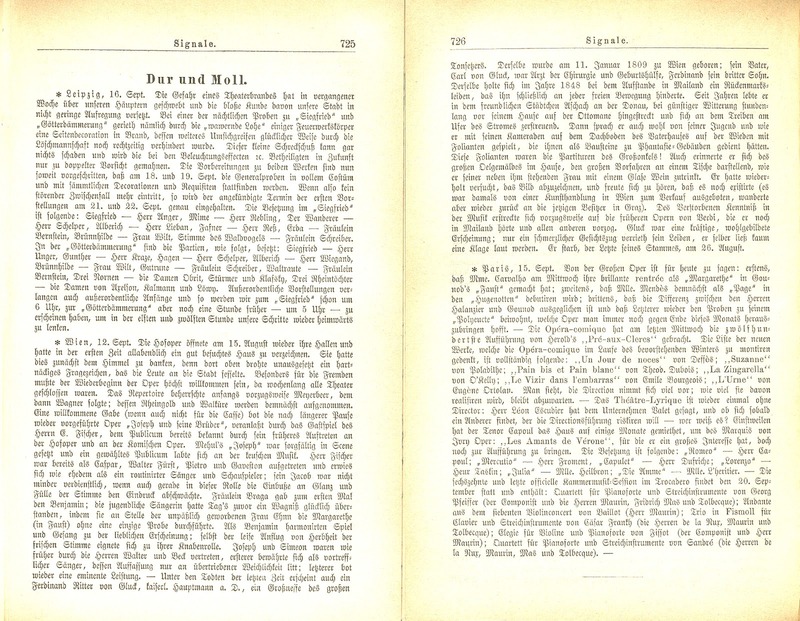 The two pages from the journal Signale für die Musikalische Welt (No. 46, September 1878, 725f.) that contain the paragraph about Ferdinand von Gluck's death. The portrait of Gluck and his wife is today held by the Wienmuseum. Among the recently deceased a Ferdinand Ritter von Gluck, retired Imperial captain is listed, a grandnephew of the great composer. He was born on January 11th, 1809 [sic] in Vienna; his father Carl von Gluck, was a doctor of surgery and obstetrics, Ferdinand was his third son. He contracted a spinal ailment in 1848, during the uprising in Milan, which eventually hampered his mobility. For years he lived in the friendly town of Aschach on the Danube, in favorable weather conditions he lay stretched out for hours in front of his house on a low couch, diverting himself with the bustle along the banks of the river. Then he often spoke of his youth and how he played with his mates in the attic of his father's house on the Wieden with folios that served them as building blocks for fantasy buildings. These tomes were the scores of the great-uncle! He also remembered the large oil painting in the house, showing his great ancestor at a table, drinking a glass of wine with his wife beside him. He had repeatedly tried to copy the picture and was pleased to hear that it still existed (at that time it was offered for sale by an art dealer in Vienna, but then went back to the current owner in Graz). The deceased's knowledge of music preferably extended to Verdi's early operas which he still heard in Milan and preferred to all others. Gluck had a strong and handsome physique; only a painful facial feature betrayed his suffering, he himself hardly ever uttered a complaint. He died, the last of his line, on August 26th. In volume 24 of its 1878 edition, the French music journal Le Guide Musical also reported the passing of Gluck's last male descendant ("le dernier descendant mâle du Gluck"), mistaking Aschach for Ansbach in Bavaria. After all, in France the composer Gluck had always enjoyed a legendary reputation. On 26 June 1770 Mozart was awarded the Order of the Golden Spur by pope Pope Clement XIV. By receiving this honor Mozart was appointed Comes palatinus Lateranus, i.e. Papal Count Palatine who in his home country had the right to use the predicate of nobility and to claim the social status that was connected with knighthood. Being a recipient of the first grade of the Papal Order, Mozart had more right to consider himself a nobleman than his colleague Gluck, who had only received the second grade of that order. During his later life Mozart never claimed his status as nobleman. A trace of his title only appears in his signature which he graced with the syllable "Ca" for the Italian word "Cavaliere". A transcription of this document (which is not transcribed and only referred to in Deutsch's, Dokumente) was first published in 1919 by Emil Karl Blümml and copied from Blümml by Walter Hummel for his 1956 book W. A. Mozarts Söhne. Since Blümml's transcription is flawed and incomplete (he for instance ignored the "Maria" in the mother's name), the complete entry is published here for the first time. (1783. Jahr Monat Tag Junÿ Julÿ) 17 Jun. N:[eu] St:[ift] alt 9. Wochen. Orth ― 30 x. It is difficult to determine when the first name "Wolfgang v" was added. As a matter of fact the "von" speaks against its having been written in the late 19th century when the public interest in Mozart's family started to grow. 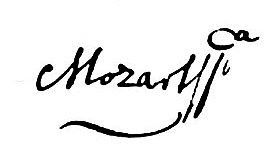 Nobody at that time considered Mozart a nobleman who deserved to have his name completed with a "Wolfgang von". In his incomplete transcription Blümml simply ignored the addition which does not mean that it had not been written yet. He seems to have regarded it as totally irrelevant. den Garten des H:[err]n v:[on] Mozart . . . . .
den 29ten / Abends 7 Uhr. Wahringergasse / N. 135. des Hrn von[!] Mozart Wolfgang, / K.K. Kapellm[ei]st[e]rs, Kind Theresia [Katholisch / Weiblich] 6 Mon[at] [Krankheit und Todesart.] Gedärmfrais. Ib. [idem] den 30ten. Idem (P. Ludovicus M.[aria] Pirnbaum Coop. [erator]) sep.[eluit] [numerus currens] 26. On [August] 29th at 7 p.m. in the evening. Währingergasse No. 135, Sir Wolfgang von Mozart, imperial and royal capellmeister, his child Theresia, [catholic female], aged six months, [cause of death] intestinal spasm, [in the] same [cemetery, i.e. the "Allgemeiner Friedhof außerhalb der Währinger Linie"] on [August] 30th, the same [priest, i.e. P. Ludovicus M.[aria] Pirnbaum cooperator] buried [number] 26. 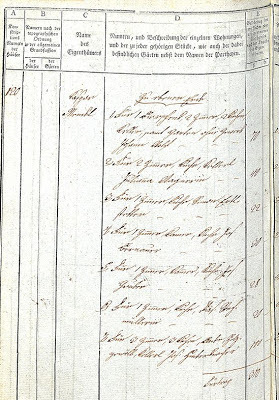 The name of Ludwig Birnbaum in the death register is a telling example of Emil Karl Blümml's dubious expertise in transcribing eighteenth-century handwritten sources. In his 1919 article "Mozarts Kinder" he managed to mistranscribe the priest's name as "Ludovicus Maria Grabner". In his article "Wieviel Kinder hatte Mozart" in the 1923 Neues Wiener Tagblatt O. E. Deutsch only had high praise for Blümml's work. In my opinion he was in no position to judge it. The entry in the Bahrleihbuch (the register of burial fees) of St. Stephen's concerning Anna Mozart's burial on 17 November 1789 was first published on 8 June 2009 in my article about Mozart's apartment on the Alsergrund which in 2010 also appeared in print in the Newsletter of the Mozart Society of America, Vol. XIV, No. 2). In this document Mozart is again addressed as "imperial and royal capellmeister Wolfgang von[!] Mozart". Of course there is no absolute proof that Mozart's nobility was universally acknowledged by his Viennese contemporaries. But the above documents make it very likely that at some time Mozart actually passed himself off as a nobleman. In his article "Mozart: In und vor der Stadt" in the journal Wiener Geschichtsblätter (2/2012) Walther Brauneis plagiarized parts of my article "Mozart's Apartment on the Alsergrund" and presented a number of supposedly unknown Mozart sources that I had already published more than three years earlier. Among those sources were the documents presented above. Because Brauneis could not cope with the fact that in 2009 I had published within two weeks what was to take him several years, he staged a childish "revenge", taking advantage of the gross negligence of the Verein für Geschichte der Stadt Wien whose editor was not willing to invest ten minutes into reading my article. On the other hand, what else is to be expected from a historical society whose general secretary distinguished herself with the inane statement: "Who is interested in Mozart anyway?" In 2013 Brauneis repeated his theft of intellectual property by republishing his article in "In Signo Wolfgang Amadé Mozart", the journal of the Mozart-Gesellschaft Zürich, whose board members did not realize the scam.